GYROTONIC® and GYROKINESIS® Pre-Trainings teacher trainings in NJ. 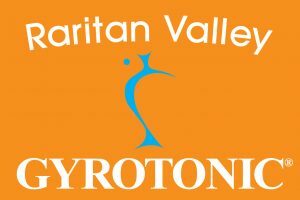 Our mission at Raritan Valley GYROTONIC® is being an authentic representative of Gyrotonic in our community and establishing a reputation as an authentic and high-end quality Gyrotonic and Gyrokinesis facility. Offering Gyrotonic and Gyrokinesis sessions taught based on the authentic curriculum in an environment that is beautiful and inspiring! The Pre-trainings are the first step towards becoming a teacher.People typically need to take ten or more Gyrotonic or Gyrokinesis sessions before they have enough experience to begin one of the level I teacher training programs. For those who want to become a Gyrotonic Trainer, but don’t have access to Gyrotonic classes in their area, there is also an opportunity to take the Extended Gyrotonic Pre-Training course which provides an additional three day introduction to the Gyrotonic level I, progression exercises. Before enrolling in either of the level I teacher training programs, students are required to have a basic understanding of the level I exercises of the method they choose to study. People typically take at least ten Gyrotonic classes with a certified Gyrotonic Trainer before they have enough experience to begin the Gyrotonic Level I Teacher Training Program. People typically take at least ten Gyrokinesis classes with a certified Gyrokinesis Trainer before they have enough experience to begin the Gyrokinesis Level I Teacher Training Program. Raritan Valley Gyrotonic updated Spring Summer Schedule of GYROTONIC® and GYROKINESIS® Pre-Trainings. GYROTONIC® and GYROKINESIS® Pre-Trainings are 6 day courses. or request a GYROTONIC® and GYROKINESIS® Course. 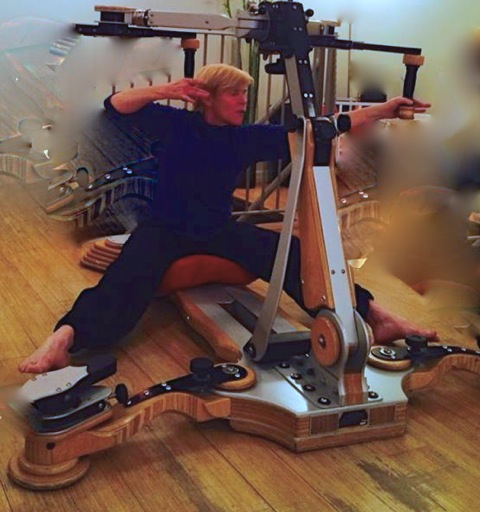 Shirley is a certified GYROTONIC® and GYROKINESIS® trainer and an authorized GYROTONIC® and GYROKINESIS® Pre-trainer. She is certified in all Specialized Gyrotonic equipment, Archway, Jumping-stretch Board, Leg extension unit, and Gyrotoner and has completed several level 2 Gyrotonic courses and specialized Gyrokinesis trainings, Level 2 Beginners course, Breathing Course Intensive, Happy moves, Lotus Blossom 1, and Rejuvenation course. Shirley continues her GYROTONIC® and GYROKINESIS® training because this journey never ends, and looks forward to sharing this amazing, beautiful movement method with you. For all Ages! Shirley and has completed course work with Master Trainers Sebastian Plettenberg, Erika Hassan,Juergen Bamberger, Dima Fedorov, Emily Smith, Jackson Kellogg and has attended the rejuvenation course in Germany with Juliu Horvath. Studio equipped with 2 Pulley Tower Combination Unit, JBS, Archway , Leg Extension unit and Gyrotoner. and mats and stools for GYROKINESIS®. https://www.rvgyrotonic.com/wp-content/uploads/2017/07/633441.RVG_.Reduced-300x200.jpg 0 0 Shirley Wallitsch https://www.rvgyrotonic.com/wp-content/uploads/2017/07/633441.RVG_.Reduced-300x200.jpg Shirley Wallitsch2016-04-07 10:55:342017-07-10 13:20:04GYROTONIC® and GYROKINESIS® Pre-Trainings teacher trainings in NJ.